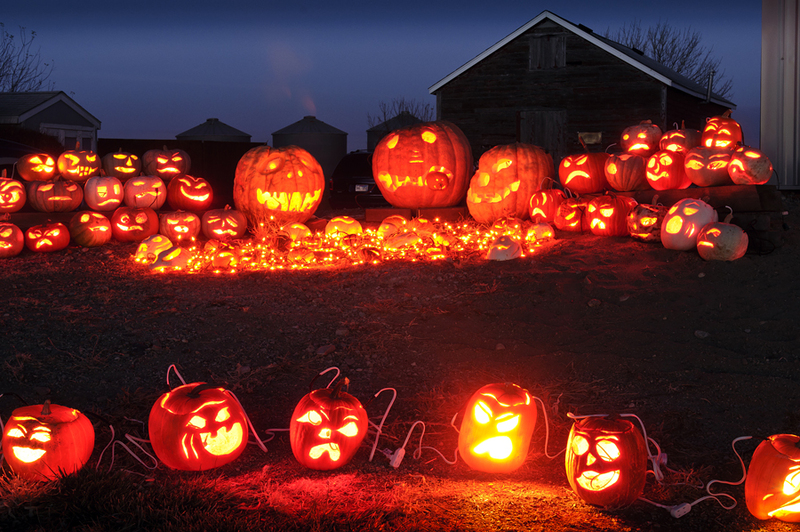 Thanks to a tip from fellow photographer Tony Tibbs, I discovered the Grambihler jack-o-lantern display north of Pierre for fun Halloween photos last night. 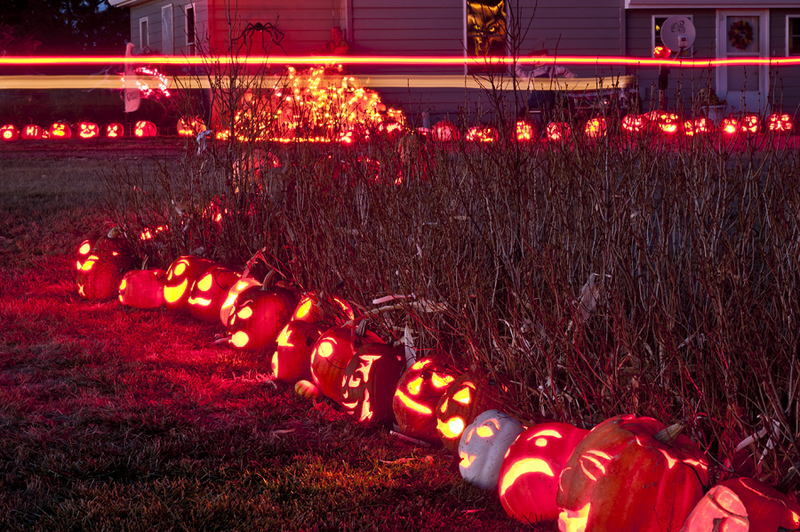 Over 250 lighted pumpkin carvings cover the Grambihler's yard on Grey Goose Road. Dave Grambihler told me the display has grown over the last 4-5 years, with this year's display being more than 100 pumpkins larger than last year. They plan to have the lights on again tonight and also Friday night if the pumpkins "don't turn to mush." He says they are sometimes even more fun to photograph as they begin to wilt. 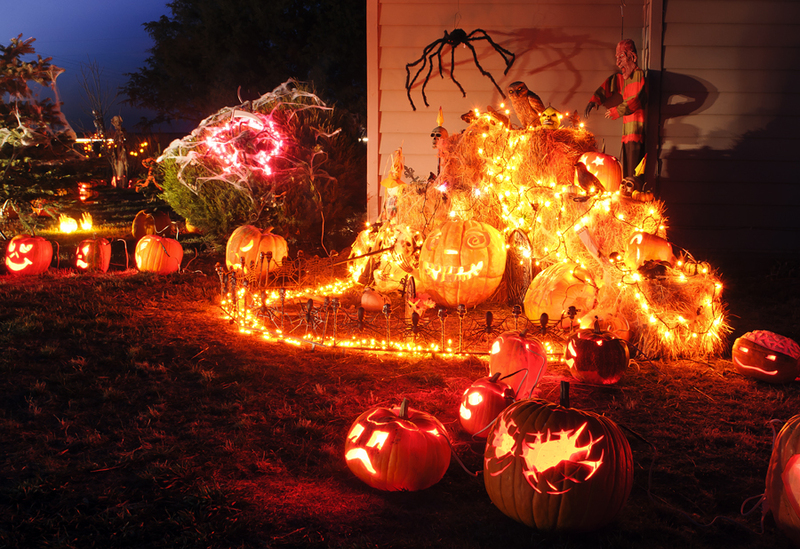 As long as the weather cooperates for good pumpkin growing, you can expect another spectacular jack-o-lantern show at the Grambihler home next year. To find the pumpkins, go three miles north of Pierre following Highway 1804 and then turn right on Grey Goose Road for another 4.5 miles north. You can't miss the lights once you get close.